Fermentation is often compared to ancient alchemy, a mix of science, magic and art. Alchemist viewed base metals, such as lead, as spiritually and physically immature forms of higher metals like gold. It is easy to see the comparison to fermentation. A cabbage has its uses in the kitchen but is sometimes rubbery and bland. Transformed through fermentation into sauerkraut, it becomes a crunchy and sour condiment swimming in healthy bacteria. Soybeans are a good snack but use the fungus, Aspergillus oryzae, to ferment them into miso and you can make a traditional Japanese soup that is one of the most flavorful on the planet. Honey is a miracle on its own; mead is the drink of gods. Sandor Ellix Katz has become the rockstar of fermentation. 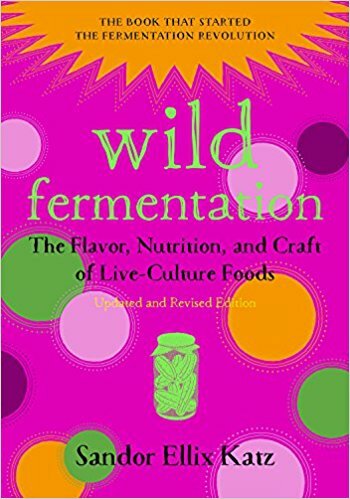 He has not done this by studying the mating habits of lactobacilli through a microscope or by creating a world class cuisine for elite “foodies.” Katz has made a name for himself because he has written the most digestible work available on fermentation, Wild Fermentation. Katz’s passion for fermentation comes through on every page. He takes away the fear of food contamination, reminding us that humans were fermenting before they were farming. You do not need a sterile kitchen or modern tools. Fermentation is a natural next step for gardeners who have discovered the benefits of a living soil. This fascination with the unseen world of fungus and bacteria easily translates into an understanding of the role these microbes play in our own body. Gardeners also quickly learn they cannot and do not want to eat 20 pounds of radishes. 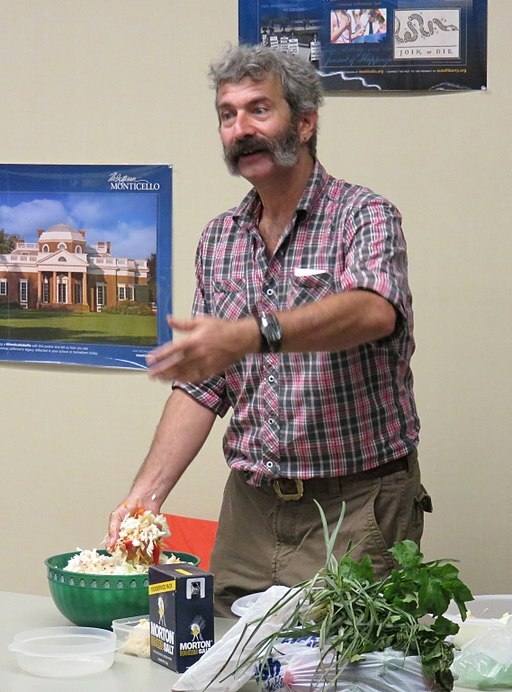 It was gardening that led me to fermentation and Wild Fermentation that taught me the skills. 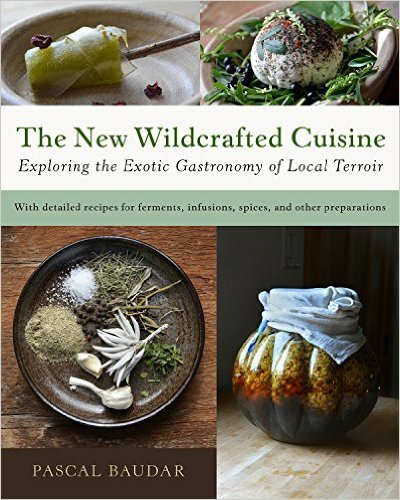 Wild Fermentation includes over 90 recipes that span from the simple sauerkraut to the involved tempeh. Katz delves into rich cultural traditions such as Chicha, an ancient fermented drink from the Andes that requires corn to be chewed and mixed with saliva before fermenting. 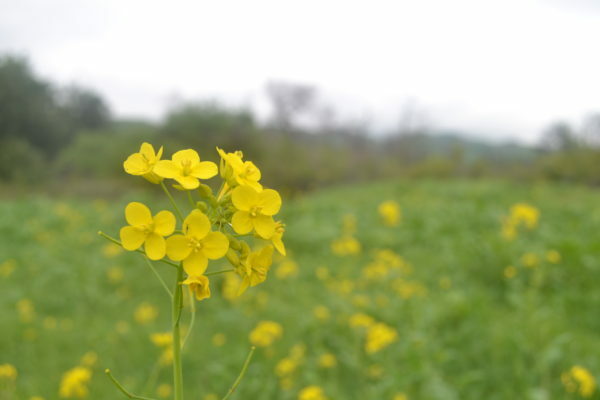 He goes beyond vegetables and makes yogurt, cheese and bread. 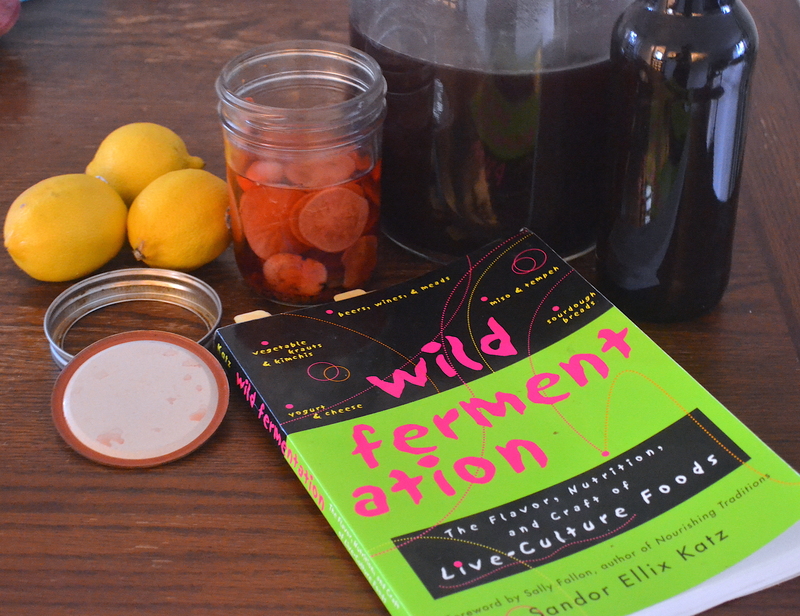 Wild Fermentation is more than a how-to book, it is a historical look at the diverse cultural methods and beliefs surrounding fermentation. It is a manifesto on living in harmony with microbes and a plea to end the war against them. This book is a love letter to bacteria and the role they play in human health. The first time I fermented beer in a glass gallon jug I would watch the bubble rise to the surface each day. Those bubbles let me know living yeast were in there, eating sugar and making carbon dioxide and alcohol. It made me happy to watch, the yeast felt like friends. Drinking the beer, I thought of those yeast taking up residency inside me, inseparable from me, we were part of a new ecosystem (I was drunk at this point). Our world has become overly sanitized and germaphobic. Sandor Ellix Katz introduces us to bacteria and fungus we cannot see and whose names we cannot pronounce. Through working with these microbes we come in closer contact with the living world and the miraculous nature of the unseen. 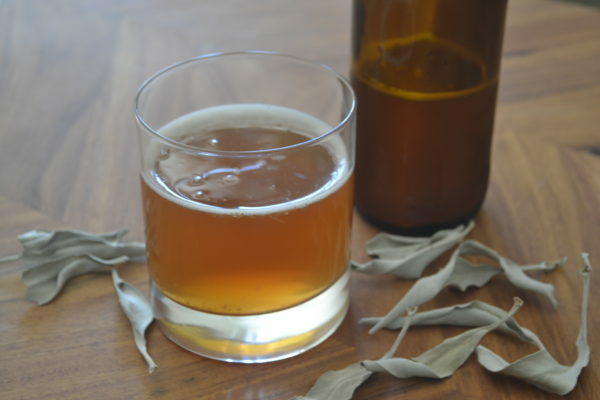 Two great ways to get started with fermentation are sauerkraut and ginger beer. My first and favorite book on fermentation. Click on the below image to purchase Wild Fermentation.